Social media has been getting a lot of attention in recent years, but as the social space becomes increasingly crowded, search engines are regaining their importance. Invest a little time in optimizing your website for search and you might be surprised how quickly you can outmaneuver less savvy construction companies online. 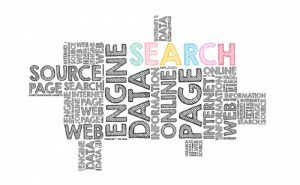 Far from an outdated marketing channel, search engines are a rich source of hidden opportunities. By over-focusing on social media, many companies have neglected search engine optimization (SEO) and let their rankings slip. That leaves the door open for those willing to go after lucrative search terms. Search engine optimization also makes it easier to target your ideal construction clients. When someone’s looking for a construction company specializing in urgent care clinics, they won’t browse social media, but instead will go to the search engines to find exactly what they want. Simple practicality is another factor. The never-ending need for fresh content means social media can be a real time sink for a business. While SEO might take several months to produce results, maintaining those results requires relatively little time and effort. To take advantage of the search engines’ recovering popularity, first make sure your website looks good and works correctly on mobile. This is especially important if you target property developers, real estate investors, and other busy professionals who search on the go. Consider your would-be clients’ most frequently asked questions and create content that provides authoritative, in-depth answers. Content like this attracts backlinks and shares that help you gain higher rankings and has the staying power it takes to hold those rankings for the long term. To really get your site up to speed on modern trends, optimize your content for voice search. Use questions phrases such as “What is…” or “How does…” and answer the questions concisely. Make your location clear by including the name of your town, neighborhood, street, and popular landmarks.